IT teams across industries face growing pressure to deliver projects faster while reducing costs. All too often, dated legacy systems hinder IT’s ability to accomplish either of these objectives. Legacy systems can also slow the speed at which IT can deliver new projects to support the business. For these reasons, legacy modernization has emerged as a key strategic imperative. But where should organizations start? 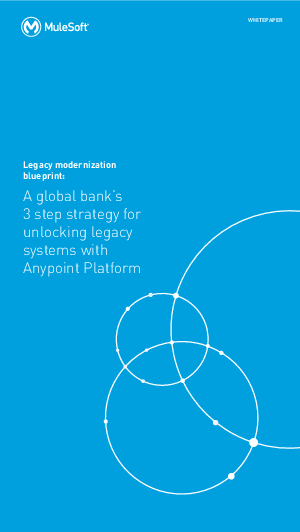 One large global bank provides a detailed blueprint for how large enterprises can do so.